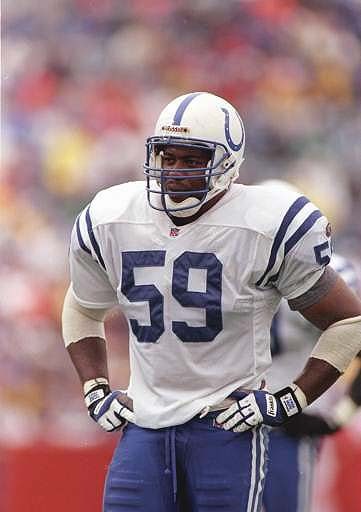 Here, we remember former Colts who are no longer with the team. 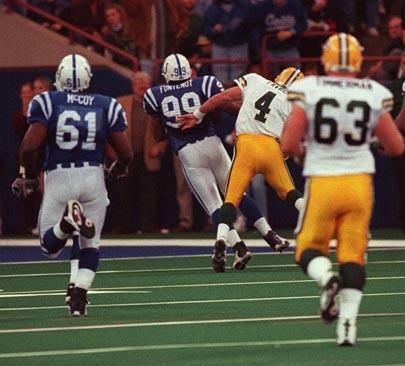 Al Fontenot runs back a fumble for a touchdown against the Packers in 1997. What a game. Not many people know it, but Jeff George does a great Elvis imitation. "I just wanna say thank you ... thank you very much." Stephen Grant and the famous "electric blue" pants from the 1995 season. Craig "Ironhead" Heyward gets ready to blast a Charger. Gone, but not forgotten. Back to page 1. | Ahead to page 3.